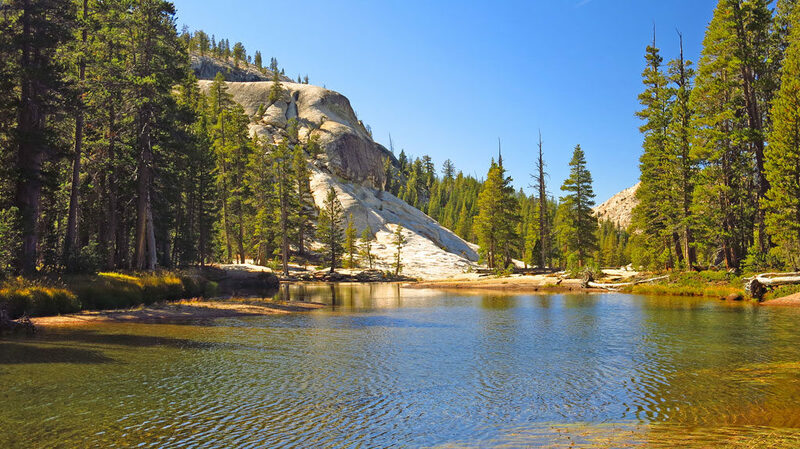 The Pacific Crest Trail runs 2,650 miles from Mexico to Canada, climbing over 57 major mountain passes, 19 major canyons, and along the shores of more than 1,000 lakes. 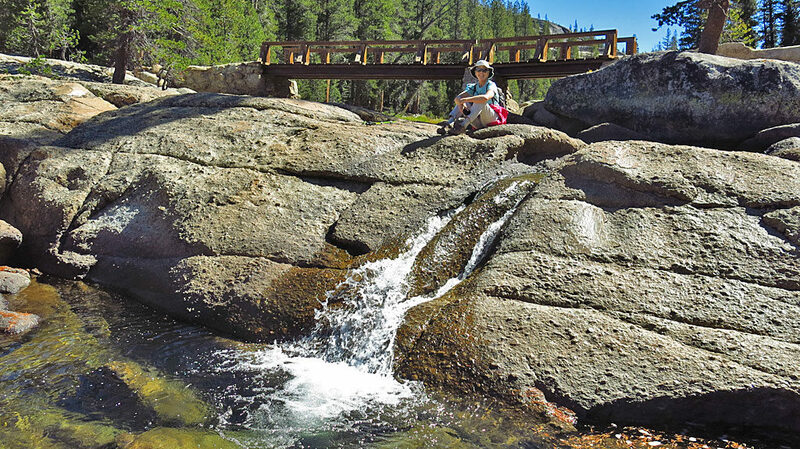 Elevation gained over the length of the trail is 489,418′ — that works out to a little more than 92 vertical miles. 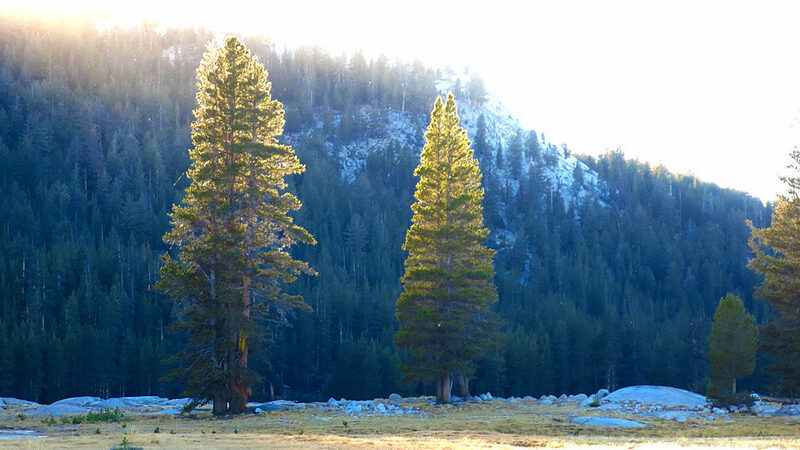 We seem to bump into the PCT – always by accident. 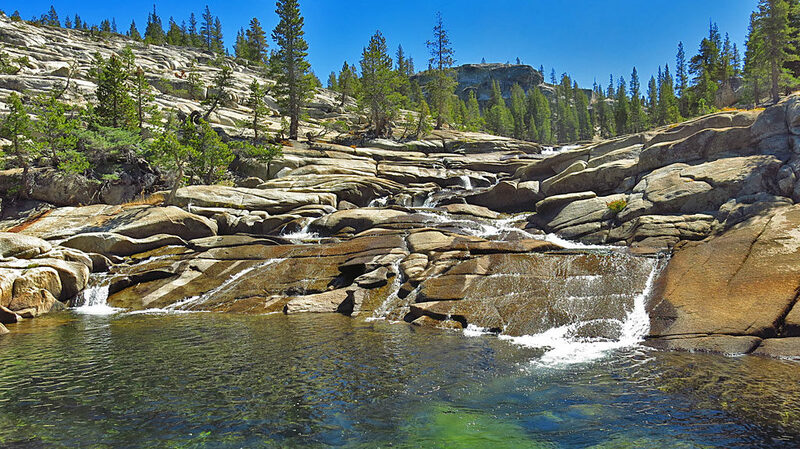 This time Carol and I hiked on California Section I (Tuolumne Meadow to Sonora Pass), following the Tuolumne River downstream to Glen Aulin High Sierra Camp – a round trip of about 11 miles. 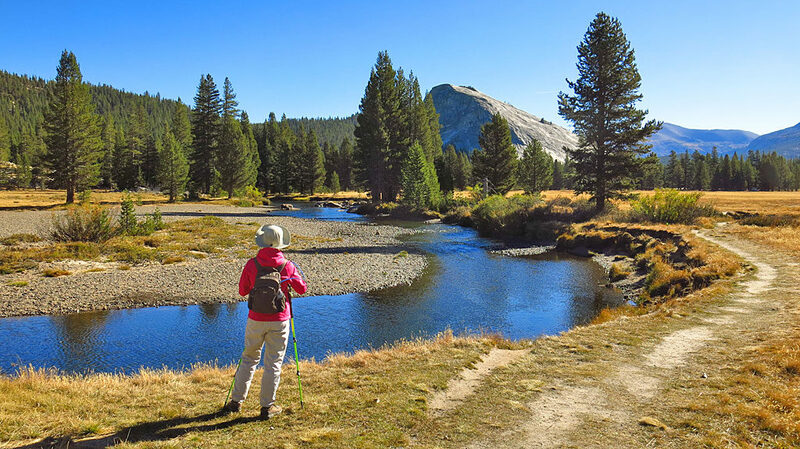 Our first stop on the PCT was to snap photos of the Tuolumne River and Lembert Dome. 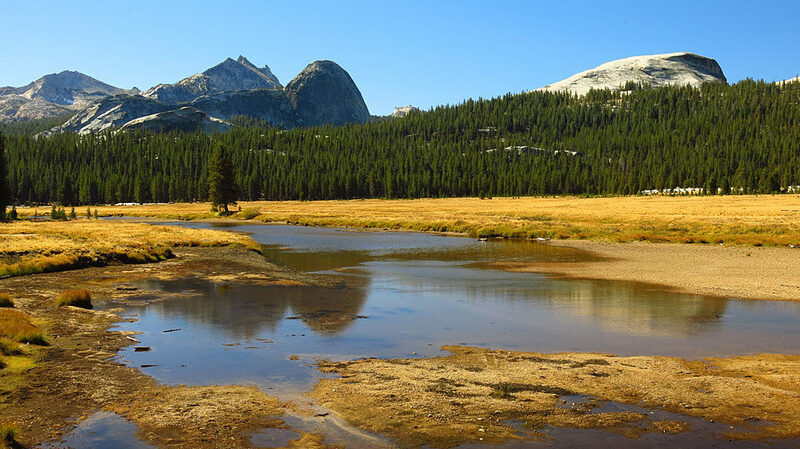 Rounded Fairview Dome from the lower end of Tuolumne Meadows – on the right is Pothole Dome. These domes and everything around here, were formed by glaciers aided by gravity. Taking a break at the first river crossing, 4.2 miles into the hike. 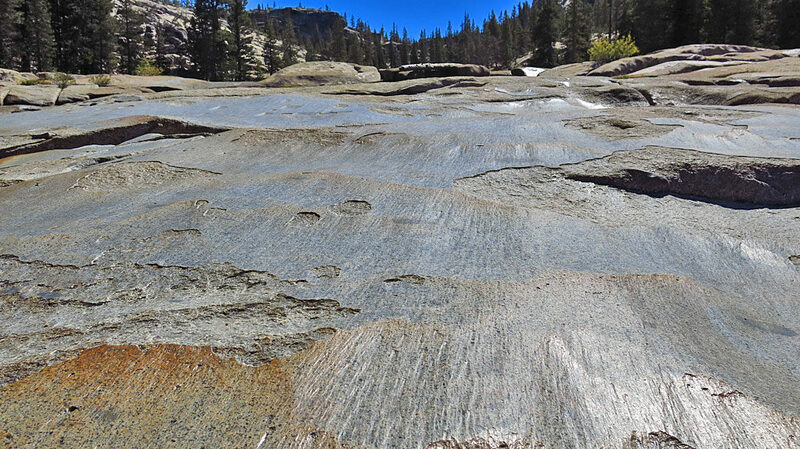 At the end of September, water flow was low in the Tuolumne. During spring runoff, this portion of the river would look more like rapids. 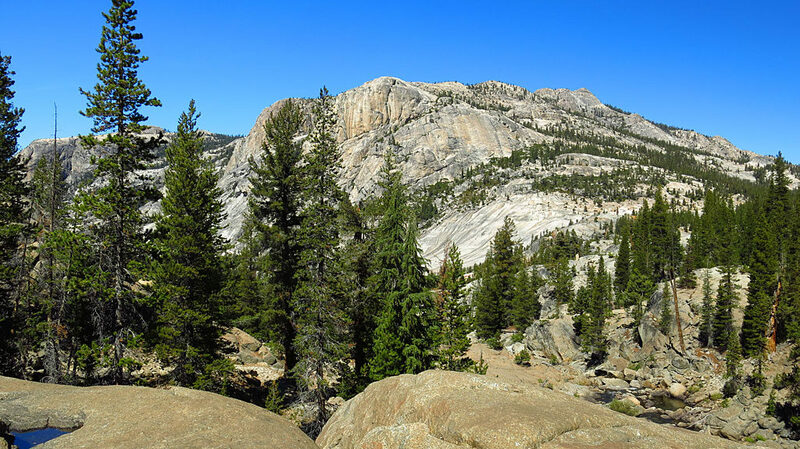 Massive expanses of granite define Yosemite. 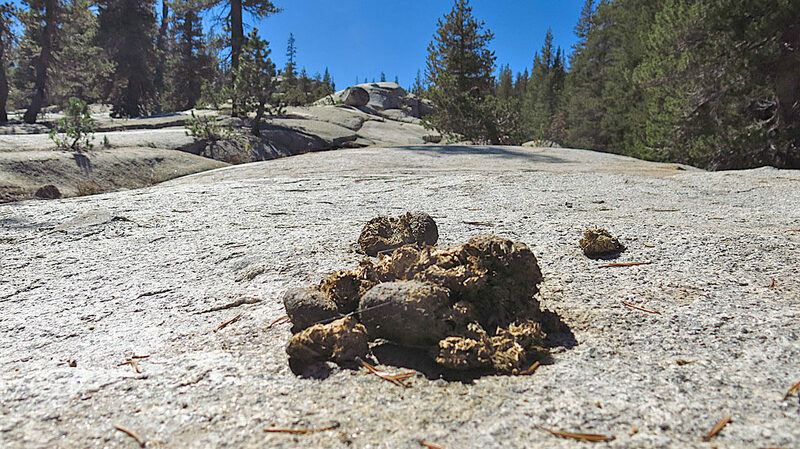 While we didn’t see any horses the day we hiked, we were fairly certain that horses share the trail with hikers. 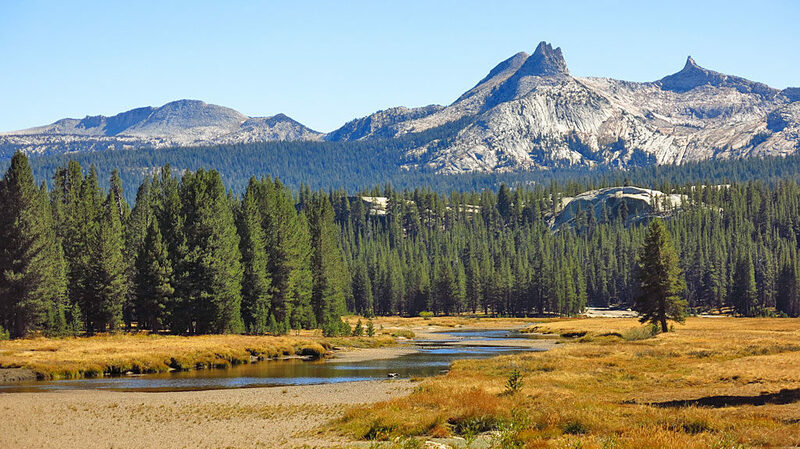 Cathedral Peak at the south end of Tuolumne Meadows. The subtle interplay of light, shadow, color and proportion.